Seven years after 1960s girl group poster-girls The Shirelles scored a number one smash hit with “Will You Love Me Tomorrow” and three years before recording one of the best selling pop albums of all time, singer-songwriter Carole King was a member of a fledgling west-coast folk-rock outfit called The City. Built around King’s heavily refined Brill building song-craft and the tight, funky guitar playing of one Danny Kootchmar, The City had an extraordinarily brief moment in the spotlight – if the spotlight is even what you could call their momentary spark into existence – before King’s stubborn reluctance to perform sealed the band’s fate. 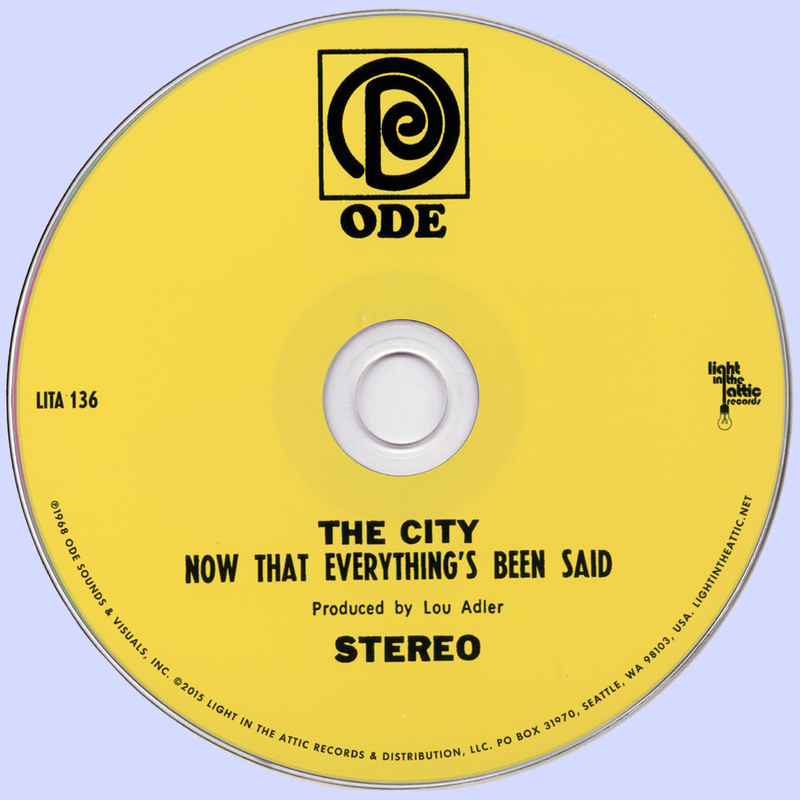 Nonetheless, they managed to cut a very solid record with 1968’s Now That Everything’s Been Said, and it deserves to be slid back into the popular radar, not only as a curious artifact from one of pop’s most legendary songstresses, but as an extremely well-polished disc of mellow rock and roll from a period when even the popular mainstream was starting to dip its sticky fingers in the electric currents of the musical counterculture. 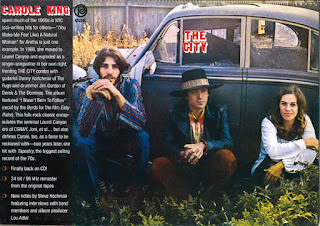 The opening track is one of the album’s finest moments, with the hiccup of a tape deck cutting into Kootchmar’s fluid electric guitar and King’s floating, elemental piano chording. “Snow Queen” has all the Laurel Canyon trademarks, from soaring harmonies and textured instrumental interplay that never intrudes on the vocals but rather elevates them above the laid-back rhythm section into a sort of ethereal timelessness. Perhaps this record’s second biggest claim to fame, besides the obvious presence of King herself, is her own performance of “Wasn’t Born To Follow,” a quiet assertion of individuality and counterculture ideals taken to the charts by The Byrds around the same time that Now That Everything’s Been Said first saw the light. 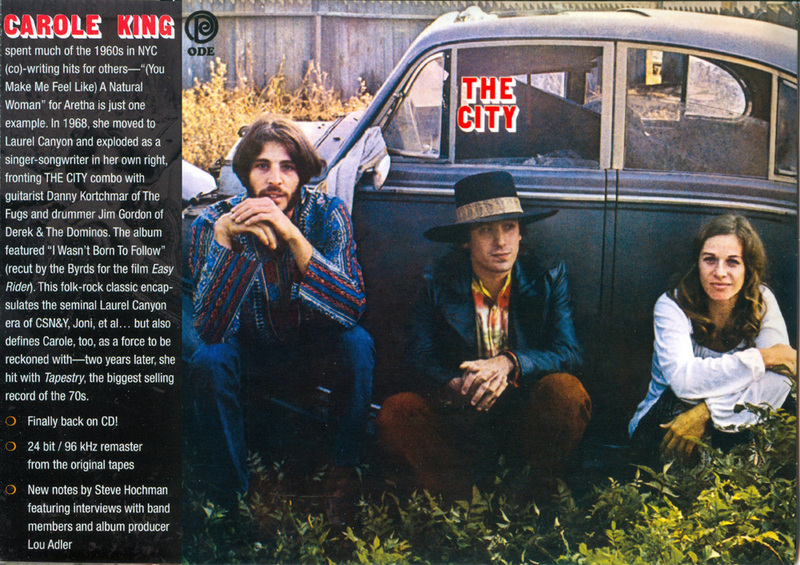 The City’s arrangement is not far removed from McGuinn and company’s, but King’s singing does throw a new spin on the number that lets it rival its more famous counterpart rather than being subsumed by it. For whatever reason I never realized the blatant similarities between this song and Leonard Cohen’s “Suzanne” until I heard this less well-known take – open-handed plagiarism or the old folk-revival card, who’s to say; either way both songs retain their beauty and this particular selection remains a City highlight. Taken as a whole this is a relatively safe and consistent record, without many real surprises save for Kootchmar’s star turn on the soulful “A Man Without A Dream.” It’s unfortunate that he was not given more chances to shine here (though he does do a sort of informal duet with King on the rambling “My Sweet Home”) as his strong and earthy voice helps ground his partner’s occasional flights into Tin Pan Alley melodramatics. His one song at least manages to add some variety to the proceedings and make this more than just another Carole King record. One wonders how much collaboration there was between musicians here, for despite King’s obvious claim on songwriting credits there are a couple of moments that sound as though they’d been born in an atmosphere of collective improvisation. “That Old Sweet Roll” even sees the band dipping its hands into a sort of rollicking American blues bag, though the song ends up channeling Cab Calloway in a prom dress more than it does Howlin’ Wolf or the Reverend Gary Davis. So where does this leave us? 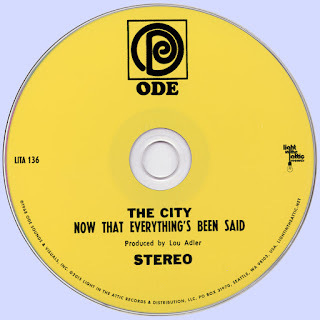 I’d argue that The City helps illuminate a time in which even the more conservative members of the American popular music establishment were willing to dip their fingers in the new wave of artistic expression that would in a few years simply become old guard. The results are an unlikely mixture of mainstream talent and late-sixties rebelliousness – a powerful combination, however questionable the concept’s street cred may sound. Considering the personnel here it’s rather surprising that Now That Everything’s Been Said is out-of-print, but with enough scrounging one of the three past reissues should turn up. Maybe you’ll get lucky: my own copy came from the cut-out bin at my local record store mixed in with a bunch of latter-day Carole King records. This fucker Jim Gordon had played drums for almost everyone in 60s &70s..
Great post! Thanks very much!